How to Reduce Exchange EDB File Size & Avoid Inaccessibility Issues? How to Reduce Exchange EDB File Size in Simple Way? It is one of the most obvious methods to reduce the EDB file size effectively. Deleting unwanted data will create free space for adding new data. But make sure you don’t end up erasing important data accidentally. And surprisingly, even after deletion, you may not see any reduction in the size of the EDB file. But don’t worry—the space freed by deleting the data is there and Exchange will use it for adding new data (instead of increasing the databases size). Offline defragmentation helps to reclaim the free space available (known as white space) in the Exchange database. This process compresses database, eradicates the blank and unused space, and reduces the database size. Thus, it effectively brings continuity in storage. And Eseutil is the Microsoft utility that helps in defragmentation. However, this process has the disadvantage that it is a slow process and can be performed only after dismounting the database (it means that all the mailboxes of the database will be unavailable for a considerable period of time). 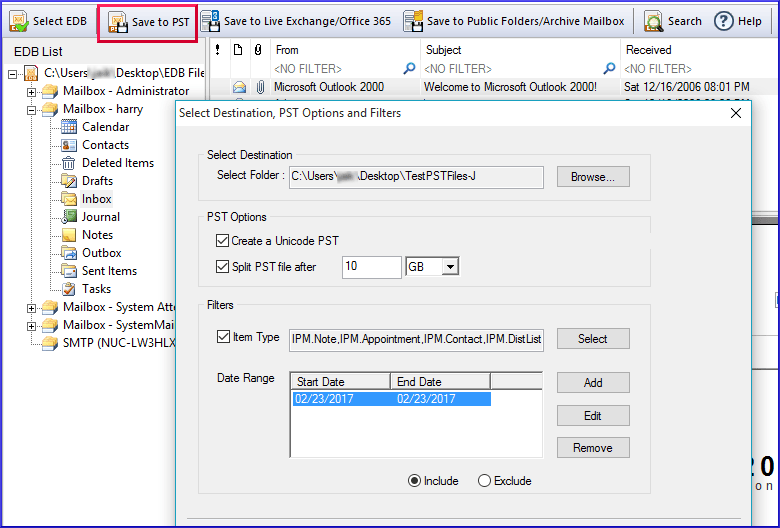 In the Exchange Management Shell, navigate to the location of the database file. Eseutil /d "<database location\DatabaseName.edb>" /t "<a temporary location\TempDatabaseName.edb>"
After the completion of the defrgamentation process, start the Information Store service. Check if the database has been mounted, and then verify if the emailing is working. Finally, check the white space to verify the success of the defragmentation. Remember: The speed of Eseutil utility usually is 9 GB/hour and may vary according to the hardware and system environment. Instead of performing defragmentation, many Exchange administrators create a new database and then move mailboxes from the older one to the new one (the older one can be deleted thereafter). It helps them achieve the same results as by the defragmentation. The advantage is that the mailbox down time is negligible. Also, it can be done from the Exchange interface (like Exchange Management Console). Exchange administrators can back up the unused data in a different location and delete the same from the server to reduce the database size. For backup purposes, they can use the Windows Server Backup facility. And for exporting, they can try ExMerge or export cmdlets depending on the version of Exchange. Alternately, they can back up EDB files by exporting data to PST files using an efficient third-party tool like Kernel for Exchange Server. 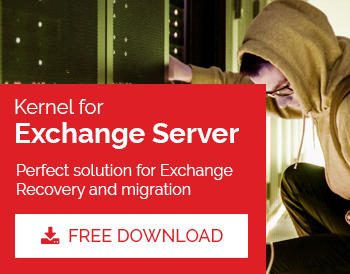 This Exchange Server Recovery tool will make the entire process effortless offering many flexible options. To reduce Exchange database size, you have many options—delete unwanted data, perform defragmentation, move data to a new database, delete unused data after creating a backup, etc. And for backup purposes, you can try Windows backup utility, use inbuilt export utilities, or convert EDB to PST file using a third-party tool like Kernel for Exchange Server.